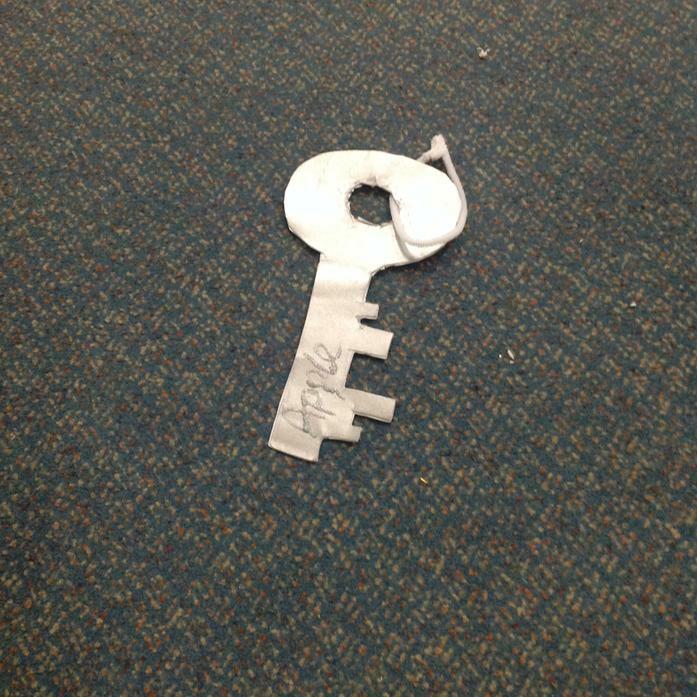 On Wednesday 9th January our Student Teacher, Mr O'Toole, introduced our new topic, Through The Keyhole. 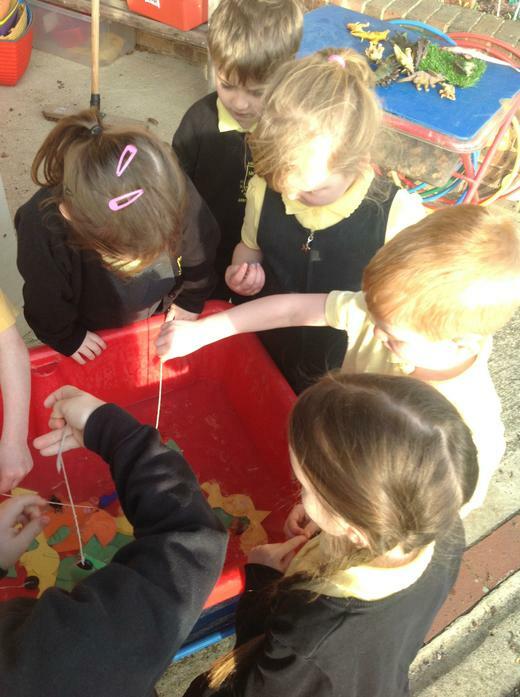 We went for a walk outside and discovered a large key dangling from a tree in the garden! 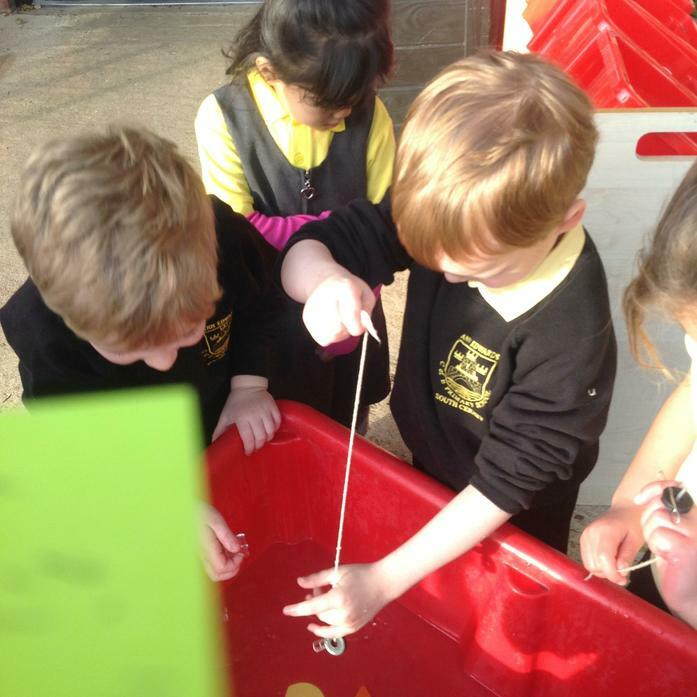 We wondered how it had got there and which door it would open. 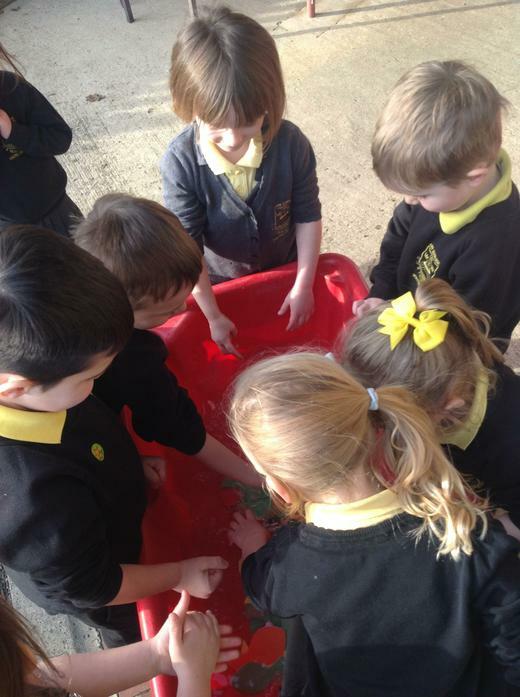 We took it back in to class and found out that Father Christmas had dropped it as he passed over in his sleigh! 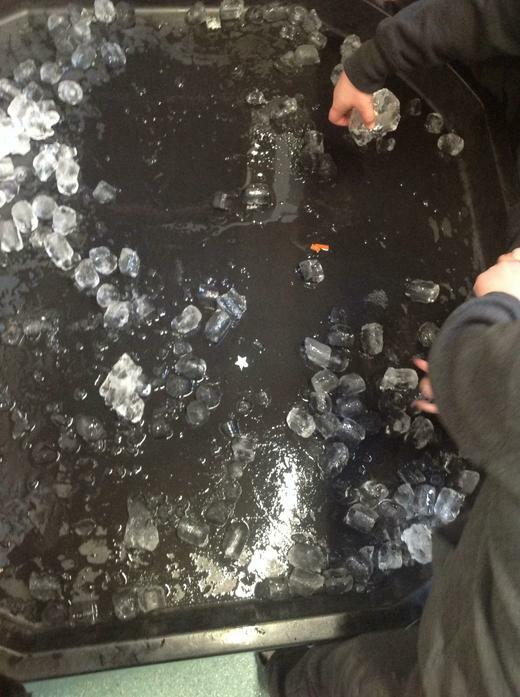 It magically opened a door to the North Pole on the Interactive White Board. 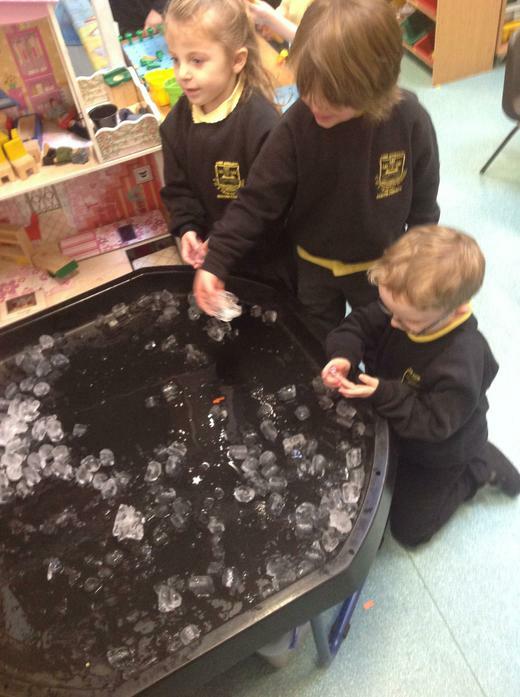 We thought about who lives at the North Pole and what sort of houses and homes there would be there. 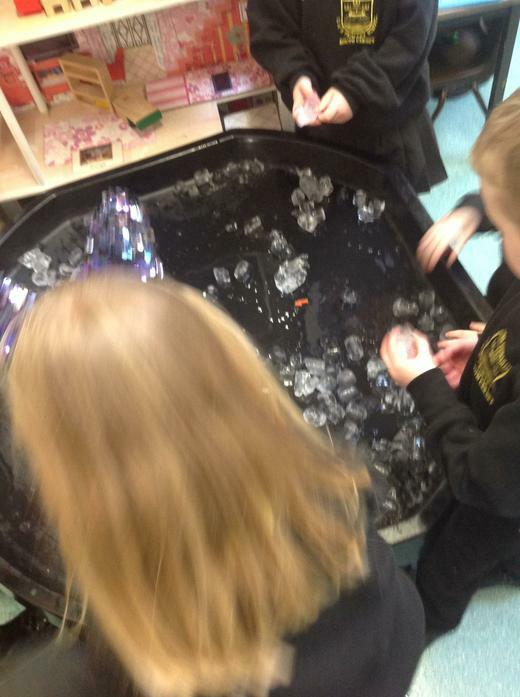 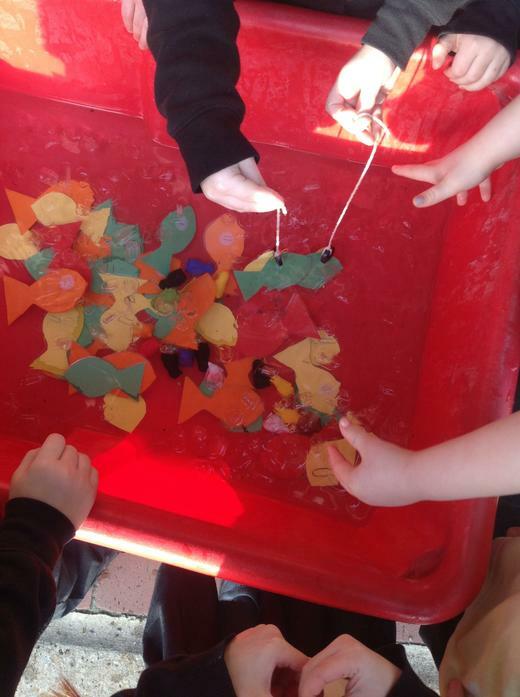 we found out that igloos are made out of ice and then we investigated how to build out of ice using ice cubes in the water tray and tuff tray. 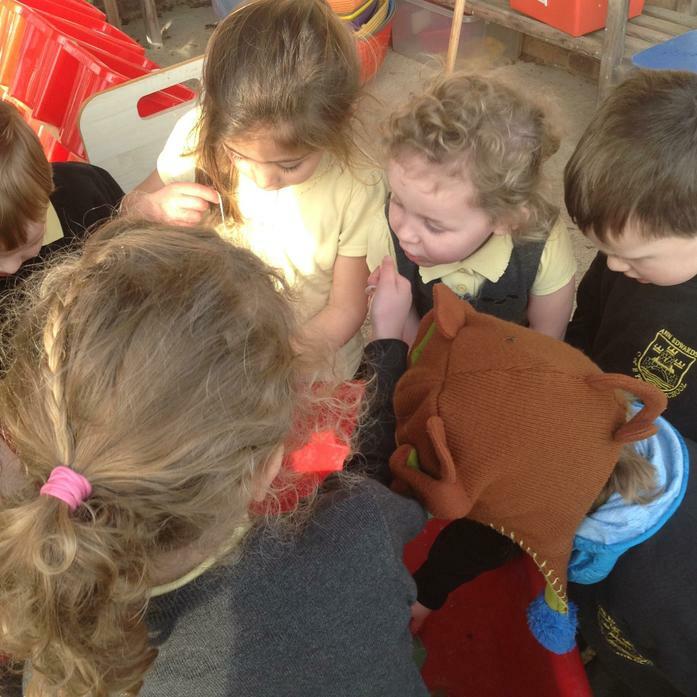 We also dressed up in furry clothes to see how to make warm clothes for such a cold place.